Rasgulla or Roshgulla - as it is called in Bengali is a very famous Bengal sweet all over the country.It is also known as King of All Sweets :-) But let me tell you that it is a very easy sweet to be made at home.Just give it a try once and you will realize how simple it is.So the next time you have guests coming at your place you can surprise them with these lovely home-made rasgullas. Heat the milk till it boils. Mix 2 tbspn of lemon with 1 tbspn of water. Then drain the whey(water that separates out) in a muslin/cheese cloth so that cottage cheese(chhena) is formed. Squeaze the water out as much as possible - you can hang the muslin/cheese cloth which contains the cottage cheese or else best is if some kind of heavy weight can be put on the cloth. Knead the cottage cheese very well so that no lumps remain. Make smooth circular balls out of this. For the sugar syrup - mix 1.5 cups of sugar with 3 cups of water. Now put the flame on medium and add the chhena balls into the sugar syrup. Keep the syrup half closed with the lid. Check after 15 min. 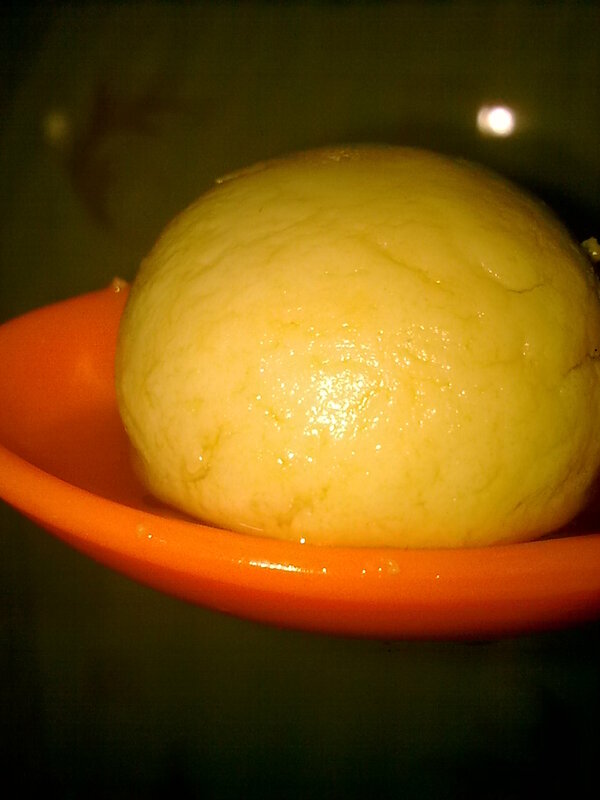 The rasgullas would have become bigger in size(they would swell up). Turn them carefully on the other side. This proportion makes 7-8 medium sized rasgullas.